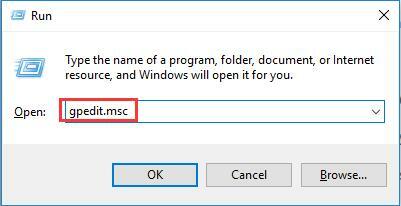 You would like to rename or delete a file or folder, but only to be told that the action cannot be completed because this file is open in system Windows 10. You cannot delete folder open in another program on Windows 10, such as Microsoft Word, Windows Explorer. 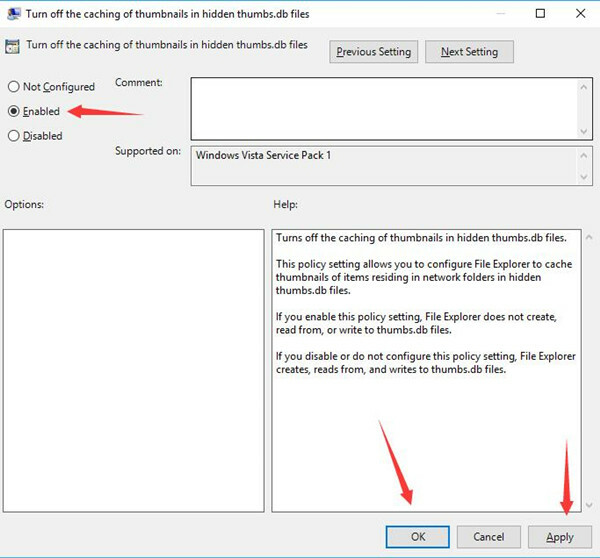 However, to fix this folder is open in system Windows 10 error, you need to try the ways below to access the file or folder on Windows 10. How to Fix This Action Can’t Be Completed Because The Folder or A File Is Open In Another Program? Sometimes, as Windows 10 cannot process too many tasks at one time, so when you choose to delete a file, you would be reminded that the action cannot be completed because the file is open. Now use the following methods to delete the file or folder in another program. Before you dive into this problem, you may as well close all the programs and reboot your PC to check if action still can’t be completed because the file is open on Windows 10. The most common case is action can’t be completed because the file is open in Windows 10 system, for instance, when you would like to send a document to someone else, but you failed to do so as the file or folder is open in Windows Explorer or Microsoft Word on Windows 10. So the first thing you have to do is restarting Windows explorer to see whether or not you can rename, delete, share the file with someone else on Windows 10. 1. Right click the Start and select Task Manager from the menu. 2. 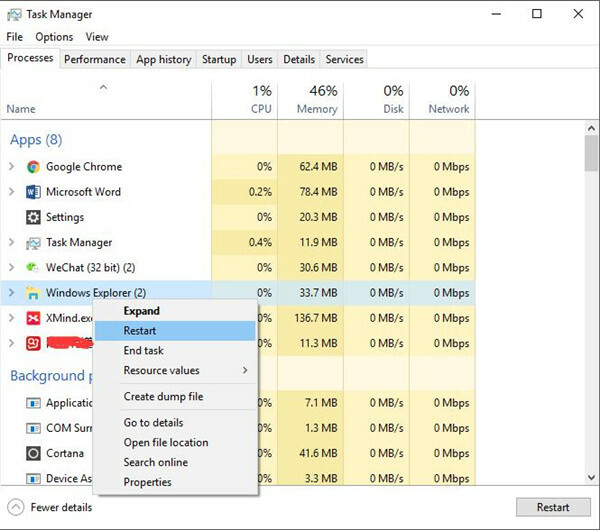 In Task Manager, under Processes tab, locate and right click Windows Explorer to Restart it. 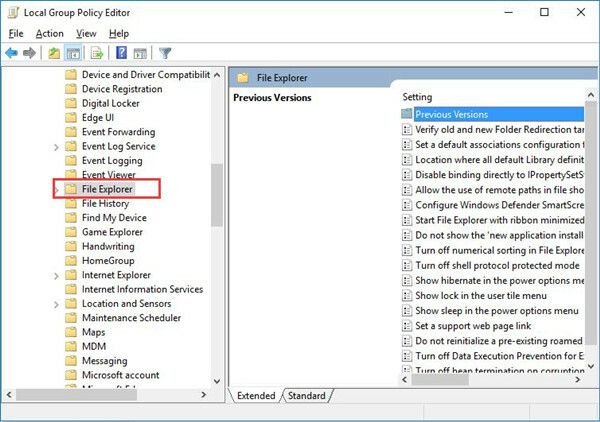 After you restart Windows Explorer, it is likely you can complete actions for file or folder on Windows 10. Another possible reason is that you have too many files moved to your Recycle Bin on Windows 10, thus causing conflict. That is why the actions cannot be completed because the folder or file in it is open in system, such as wininit.exe. Now you should remove all the unnecessary files in recycle bin to fix file is open in another program error on Windows 10. 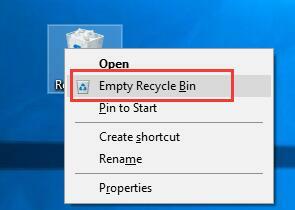 Right click the Recycle Bin on your Desktop to Empty Recycle Bin. Without the corrupted files in the Recycle Bin, you can manage to create a new file, rename or delete a folder freely. And the action cannot be completed because the file is open in another program is removed from Windows 10. If ending and then starting Windows explorer is useless to solve action cannot be completed problem, there is another way out for you. Struggle to launch the folder in a new window. Maybe in the new process, the folder or file can be deleted or edited. 1. Type in File Explorer in the search box and hit Enter. 2. 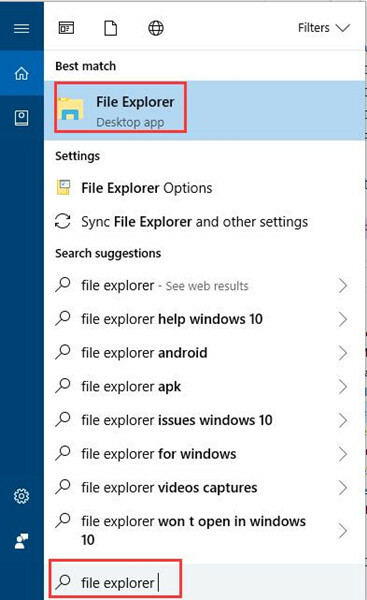 In File Explorer, click View and then Options > Change folder and search options. 3. 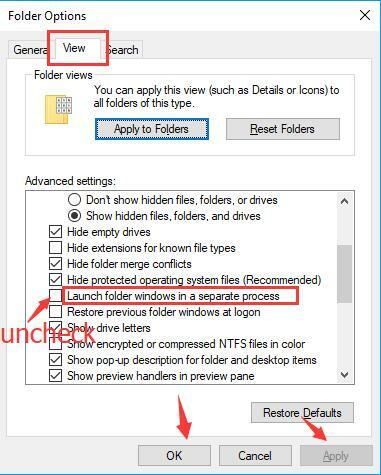 Under View tab, uncheck the box of Launch folder windows in a separate process. Then hit Apply and OK to take effect. At that moment, you will have disabled using the folder in another process, which is to fix the action can’t be completed because the file or folder is open in another program, like Firefox, Microsoft word. Using group policy can also be an effective solution for cannot delete the file as it is open in system Windows 10. 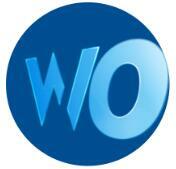 But it is wise for you to back up the data on your PC before you change group policy. 1. Press Windows + R to evoke the Run box. 2. Enter gpedit.msc in the box and then stroke OK to navigate to Local Group Policy. 3. In Group Policy, find out User Configuration > Administrative Templates > Windows Components > File Explorer. 4. 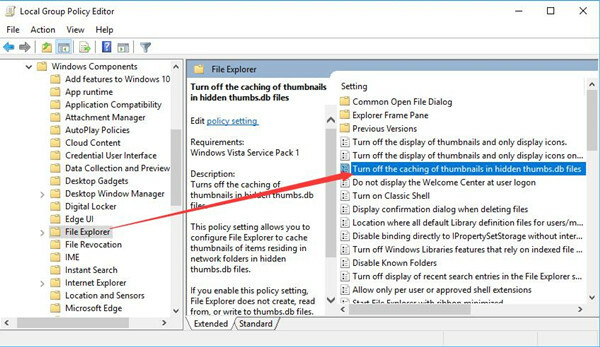 Under File Explorer, on the right pane, locate and double click Turn off the caching of thumbnails in hidden thumbs.db files to edit it. 5. Click Enabled and then Apply, OK. Here you would not allow File Explorer create, read from or write to the thumbs.db files. But the good news is you can solve this action cannot be completed because the file is open in Windows 10. All in all, when you are facing the action can’t be completed since you have opened it in Windows system, you are qualified to select one way suitable for fixing your issue.